Too Loud a Solitude: A Novel. 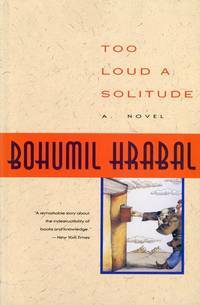 by Bohumil Hrabal - 1992. Home > Textbooks > Too Loud a Solitude: A Novel. Too Loud a Solitude: A Novel. Edition: First Edition thus, so stated. Alphabetical sequence: CDEFG. Title: Too Loud a Solitude: A Novel.